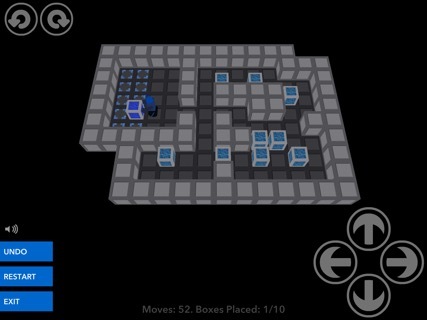 Play this challenging puzzle game with 100 levels. 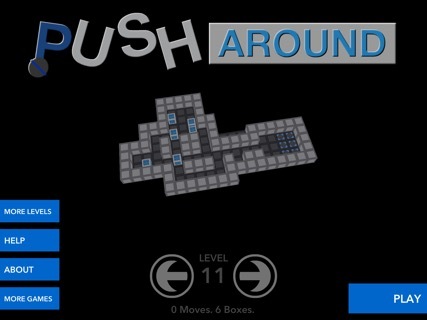 Push Around is a fun and challenging puzzle game for all ages. You move a robot around pushing boxes into position. You can only push them one at a time. You cannot pull or slide boxes, only push them forward. 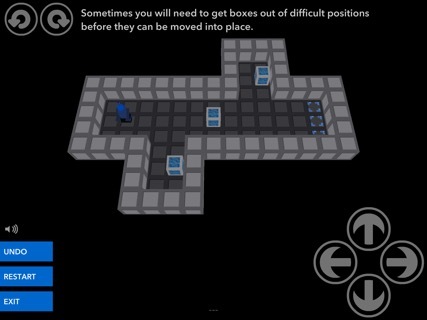 This simple puzzle mechanic creates very interesting and satisfying levels. The harder ones seem impossible at first until you figure them out. 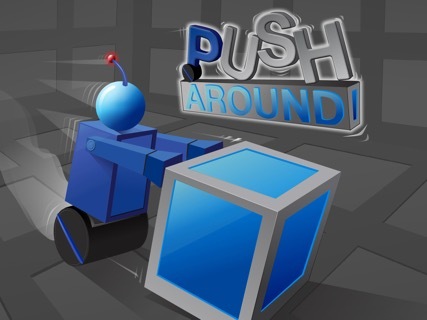 Push Around is a 3D game and you can rotate the entire puzzle to see it from different angles. There are 100 levels. The first 10 levels teach you how to play. Then there are 2 more challenging levels you can play for free. You can then unlock 88 more levels with an in-app purchase if you like the game.